Marketing Vision is the one industry event focused exclusively on marketing excellence and leadership for B2B services and solutions in the connected economy, and ITSMA’s 2017 program was better than ever. One of the highlights of Marketing Vision is our Marketing Excellence Awards Ceremony, which honors companies that have demonstrated the pursuit of excellence in the four most critical aspects of success: strategy and planning, innovation, execution, and business results. Congratulations to the 2017 MEA winners! Check back for dates for Marketing Vision 2018! Demandbase is a leader in Account-Based Marketing (ABM). The company offers the only Artificial Intelligence-enabled, comprehensive ABM platform that spans advertising, marketing, sales and analytics. Enterprise leaders and high-growth companies such as Accenture, Adobe, Dell, DocuSign, GE, Grainger, McKesson, Oracle, Salesforce and others use Demandbase to drive their ABM strategy and maximize their marketing performance. The company was named a Gartner Cool Vendor for Tech Go-To Market in 2016. For more information, please visit https://www.demandbase.com or follow the company on Twitter @Demandbase. When sales and marketing are in sync, your business is unstoppable. With Salesforce Pardot, marketers can create, deploy and manage personalized marketing campaigns, empower sales to connect faster, from anywhere with the right message at the right time, and get actionable insights from their data. Pardot customers see improved prospect engagement, better returns from marketing spend, and accelerated top line growth. Stop by the Pardot booth to learn how you can accelerate your pipeline with B2B marketing automation by Salesforce. Engagio is built for marketers, by marketers. Our proven Account Based Marketing solutions enable marketers and their companies to land and expand high value accounts. Engagio’s marketing orchestration software helps B2B marketers to create and measure customer engagement, scaling the benefits of automation with the personalized benefits of the human touch. Backed by leading venture investors and headquartered in San Mateo, CA, Engagio was named as one of the Top 10 Best Small Companies to Work For in the Bay Area, is on the JMP Securities 2017 Hot 100 List of Privately Held Software Companies, and was recently chosen as a 2017 Red Herring Top 100 North America winner. To learn more, visit www.engagio.com. Kaon Interactive is a B2B software company. Kaon’s interactive sales and marketing applications simplify complex product and solution stories in a visually engaging way anywhere, anytime, turning prospects into customers. The company’s interactive 3D sales and marketing applications transform product and solution marketing content into visual storytelling experiences to deepen customer engagement, reduce marketing expenses and accelerate the sales cycle. More than 5,000 Kaon Interactive applications are being used worldwide at trade shows, remote sales demonstrations, product launches, executive briefing centers, and websites by leading global product manufacturing companies. For more information about Kaon, visit www.kaon.com. Cramer creates experiences that fuel connections between brands and the people vital to their success. A 150-person strong marketing studio with a 30-year legacy of delivering results for global businesses. One of the biggest problems that marketers have with messaging and content is that almost none of it is truly memorable. The sad reality is that our audiences forget 90% of what we share with our articles, presentations, and campaigns within two days. We’re trying to influence behavior, but how can we persuade our clients or other audiences to take action if they only remember 10% of what we talked about, and we’re not even sure which 10% they remember! Transforming Marketing for the Digital Future: Evolution or Revolution? Inspiring engagement is one of marketing’s main challenges, especially when we’re supporting high-value, high-consideration services and solutions. If our clients and prospects won’t engage, how can we begin to persuade? Unfortunately, many marketing materials fall short on the engagement level and produce the opposite effect: they leave people flat and sometimes downright bored. So we look to science to learn about the psychology of boredom. We have evidence that modern consumers show an increased level of dissatisfaction with available stimuli, especially where marketing is concerned. The good news is that the brain does not want to stay bored for too long. From an evolutionary standpoint, we cannot afford to stay bored. So, if customers are bound to find stimulation somewhere, why not take charge and be the source for the stimulation they crave? 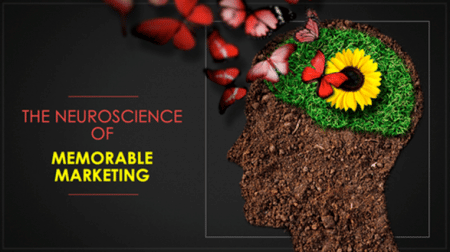 Building on the neuroscience of memorable marketing, this session reviews practical techniques we can use to alleviate boredom with the content we create and instead provide customers and prospects with engaging content that ensures memory and sets the stage for ongoing conversation. B2B marketers stand on the front lines of the digital transformation of the global economy: Analyzing trends, identifying opportunities, bringing new offers to market, and transforming our own way of working. This talk will explore the promise and challenge of being truly digital in marketing, and highlight the practical strategies and steps we’re taking at PwC to engage our clients in new ways with an increasingly complex portfolio of products, services, and solutions. We’ll discuss lessons learned from new approaches in priority areas including account insight and targeting, thought leadership, events, and digital engagement. Amid the continued rush to digital, successful marketers understand well the continuing value of live, face-to-face engagement. From executive meetings and briefing centers to innovation days, thought leadership seminars, and customer and partner events, however, marketers are rethinking to in-person activities and transforming traditional approaches with an array of new strategies, designs, and technologies. This workshop with Cramer, a brand experience agency, will dive into the emerging tools and techniques that leading edge marketers are using to energize face-to-face engagement. With hands-on demos and activities, you’ll experience a fast-paced look at a range of new approaches to consider for your own programs and events. Pre-conference workshops are included with conference registration, or available separately at a cost of $495 per member and $695 per non-member. Conference fee includes handout materials, pre- and post-conference workshops, continental breakfasts, lunches, refreshments, receptions, and Awards ceremony. If there is anything we can do to make your participation in this event easier, please complete the appropriate space on the Registration Form or contact Laura Carroll at lcarroll@itsma.com or +1 781 862 8500, x145. Please let us know in advance if you have any dietary restrictions so that we can plan accordingly and make your experience at the Conference a good one. Please enter the information in the appropriate space on the Registration Form or contact Laura Carroll at lcarroll@itsma.com or +1 781 862 8500, x145. Reservations: Hotel accommodations are the responsibility of the registrant. ITSMA has reserved a block of rooms on a first-come, first-served basis at The Charles Hotel, but the deadline has now passed (October 12). However, you can call the hotel directly at +1 617-864-1200 (Reservations Department) to see if rooms are still available. Otherwise, please refer to our list of alternate hotels. Hotel Information: The Charles Hotel experience reflects the eclecticism that is Cambridge. An urban oasis, The Charles offers something for everyone who is visiting the Boston area. Guests can soak in their academic surrounding by attending a lecture at Harvard, relax with a stroll along the Charles River, explore downtown Boston or dine at some of the Boston and Cambridge area’s finest restaurants, including The Charles’ own Henrietta’s Table. In addition, The Charles is home to a thriving jazz club, the Regattabar a popular cocktail bar, Noir, and an ice-skating rink during the winter months.